What did you think of ArtBeat 2018? 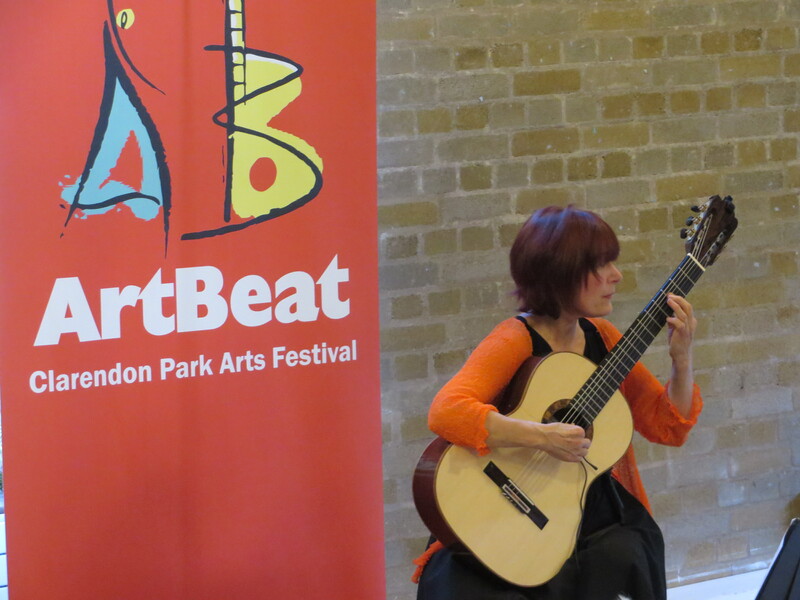 We had a great time at ArtBeat 2018 and we’ll soon have to start thinking about ArtBeat 2019, which is our 5th birthday. To help us create the best ArtBeat yet we need your feedback about ArtBeat 2018. What did we do well, what could we improve and what sort of events would you like to see next year? It doesn’t matter if you didn’t attend any ArtBeat events, you can still help with your answers. Monday 17th September, 6.30pm, at the QuakerMeeting House, small meeting room on Queens road. No experience needed just enthusiasm and ideas. If you can’t attend the meeting email us at info@clarendonpark.net for more information. We hope you have enjoyed the events as much as we did. There’s been some great craft activities, inspiring music, poetry and dance, thought provoking talks and workshops, as well as events that were just fun. There are some photos – click on 2018 ArtBeat Gallery, or on the menu. There are more (like the one above) over on Facebook. If you’ld like to help ArtBeat 2019, or if you just have something to say, come to the Public Meeting/AGM on Monday 17th September 2018, 6.30pm at the Quaker Meeting House (small meeting room). Celebrate with us in an open air service at 11am. Message and live worship, music. FREE bouncy castle, bring and share picnic, crafts, games and races, face painting. Special feature: Loughborough’s very own JONEZY the rapper on stage at 13.15 . The Jaipur School Orchestra play Indian raga influenced music, featuring Neil Donoghue on Sitar, Will Fidoe on Guitar and Jim Tetlow on Cajon. 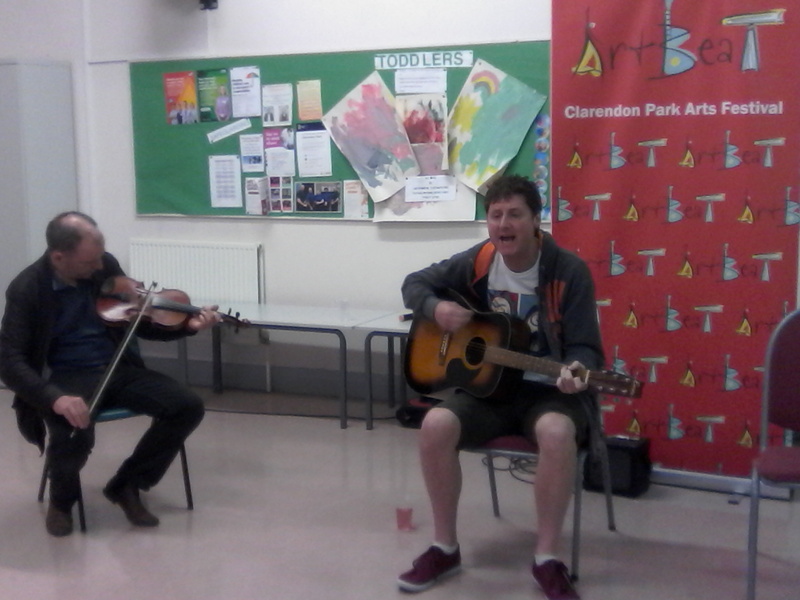 With the Greenshoots Ceilidh Band, playing a variety of folk and dance tunes. Leicester SingSong’s summer concert includes choir and solo performers. Enjoy a mix of barbershop, pop, musical theatre and Gospel. Entrance: pay as you want. Learn some basic steps for this beautiful dance. Come and give it a try. No partner needed. Experienced Salsa teachers will inspire you and help you. Round off the festival with a drink and some good music. A walk around Clarendon Park houses: posh houses, Coronation Street houses and everything in between. A look at Clarendon Park’s houses. Create a striking collage using a diverse, hands on medium – nature. 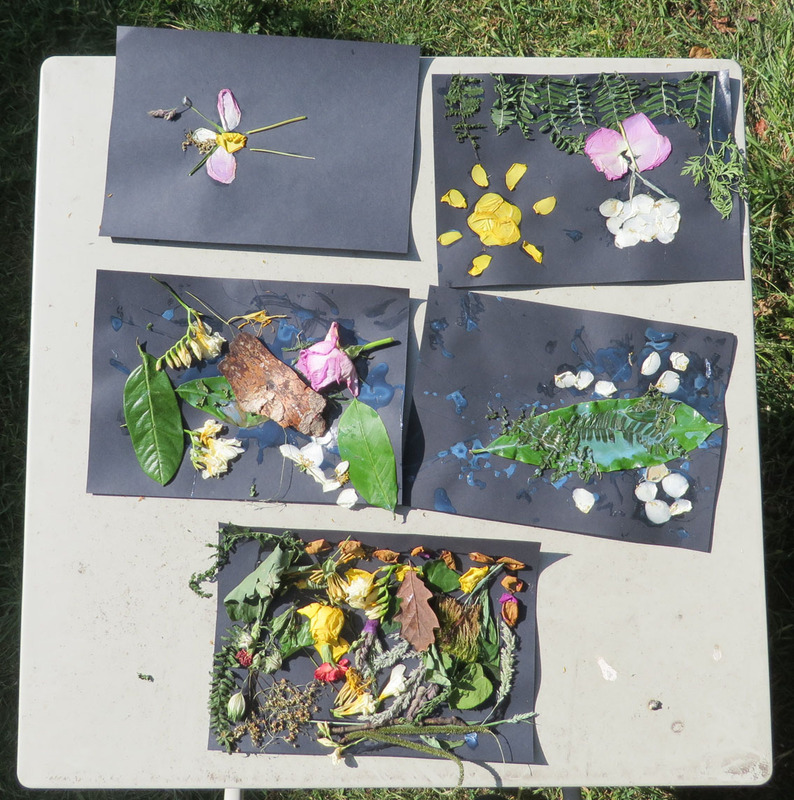 Drop in and delve into an array of summer leaves, petals and twigs or bring your own. All ages welcome. The Vintage Games Lounge brings a collection of classic family board and table top games from the 1950s to the 1980s. Just come along, pick a game and play! Experience the Sound of Soul: Discover the wonders of HU. Use this age-old mantra to spiritually enrich your life today. Tea and Talk. An opportunity to meet with those from many of our different places of worship, to discuss spirituality, faith, belief and everyday life. Those of any faith or none welcome. Refreshments. Nominated for Best Kids Show this year at Leicester Comedy Festival! Join Lindsey Warnes Carroll (Shirley) and Ian Hall (Ken) for jokes, songs, dancing, magic and some joiny-in fun. Nick will explore the world of essential oils, looking at origins, artisan production, natural perfumery, body care and medical aromatherapy. Learn to take the tension out of your body with simple finger pressure techniques. Bring your own mat if possible. Led by Jean. With Chris Moody, Linda Whittam, and Paul Roberts. From folky beginnings, Bellatones have evolved into a full on multi instrumental rock five piece, renowned for their melodic and energetic live shows. Check for admission price. 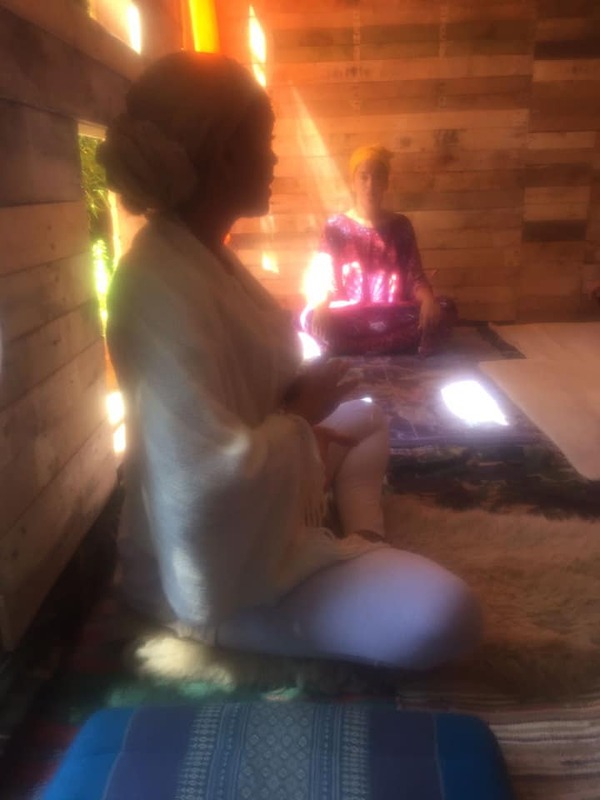 Kundalini yoga activates your inner energy through a series of exercises, relaxation and mediation, reducing stress and increasing vitality. Classes followed by herbal tea and vegan cakes. Booking essential: contact Leah Golde on 07905568283. This presentation will help you understand and prevent online scams or frauds, and it is presented by Christine of Encol Computer Centre. Poetry circle, bring and share your poems, before hearing the Tangent Poetry Group and the U3A Creative Writing Group presentation and performance of poetry and short prose. Refreshments. Guitar pieces from the 18th century to the present day including music by Sylvius Leopoldo Weiss, the beautiful ‘Castles of Spain’ by Federico Moreno Torroba and original compositions by Yvonne Bloor. Meditative movements led by Jean. Open Circle: a celebration of Midsummer.All are welcome. with Eleanor Hodgkinson (piano)and Simon Chalk (violin). There will be a special schools’ performance in the afternoon. Book your school’s place as space is limited. Booking is essential and a small fee is payable in advance. Come and join in with some maypole dancing! Traditionally danced on Mayday, we will be celebrating midsummer with a maypole in the Clarendon Park Community Gardens as part of ArtBeat. The evening meditation will be themed around nourishment. Nourishment of the body, so bring some enjoyable food to nibble; nourishment of the soul, with a guided meditation, so bring a comfortable mat or blanket to lie on. Come and join Leicestershire Guild of Storytelling for stories loosely connected with Midsummer from a variety of storytellers. Join in if you wish, or just listen. Join us for an introduction to community dances from around the world including dances from Greece, Israel and Armenia. Everyone welcome. Kerry Featherstone is a Nottingham-based poet and singer-songwriter. He writes in English and French, and his music has been described as ‘The Waterboys meet REM at Big Pink”. An illustrated discussion led by members of the writing group.